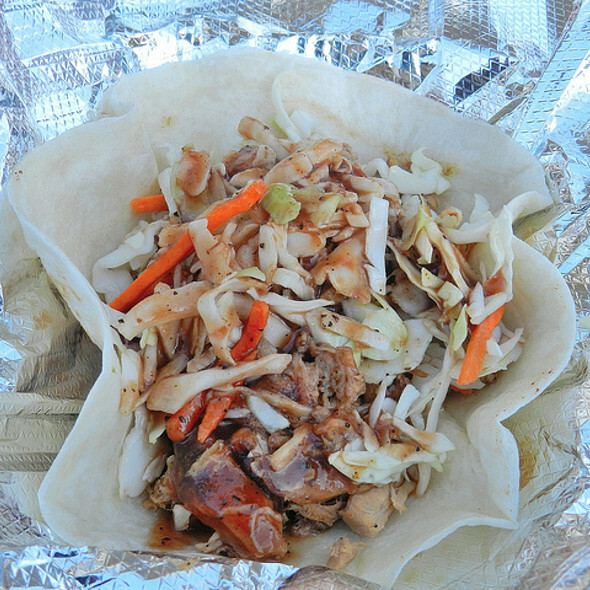 Atlanta is known for a lot of things, but how about adding food trucks to that list? The food truck scene in Atlanta has tripled since first being allowed in 2010 housing around 75 food trucks, all with distinct concepts and flavors. The mobile cuisines do have a cult like following and it’s great to see the idea of food on wheels taking over the way people dine out. 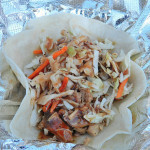 One truck that has created quite a buzz and a name for itself around the metro city is Tex’s Tacos. Named the ‘Antonio Banderas’ of food trucks, Tex’s Tacos really lives up to its suave demeanor. 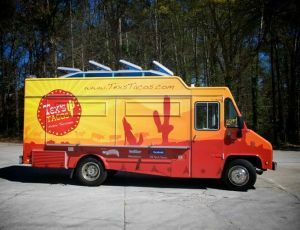 The California style model is a fully equipped restaurant on wheels serving up some of the best Texicana style food you have ever put in your mouth. Tex’s Tacos also has a sister truck located at Auburn University, owned and operated by another former employee of Helms, Evan Davis. 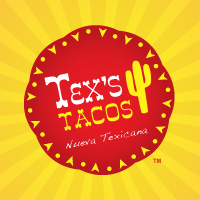 “Neuva Texicana” is the style, which is a unique and exciting take on the traditional Tex-Mex cuisine. Tex’s Tacos features the best tasting tacos, delicious quesadillas, loaded lime fries, and a whole lot more. While the food is something to note, the people are what really make it a memorable experience. It’s like hanging out with your best friends when you order off the truck. The staff consists of a friendly bunch of guys, usually blasting some Phish, while whipping up what has been voted Atlanta’s favorite tacos. Let me know your favorite food truck in the comments, and I will gladly write a blog about it! Time to spread the food truck craze..